Add something special to your game room with this uniquely designed shuffleboard. Available in Cherry, Mahogany, or Red Oak this shuffleboard will fit into any decor. The playfield is made of hard rock maple with our specially formulated UV finish. The cabinet is hand crafted from tiger maple and the solid wood of your choice set atop domestic veneer core plywood for strength and stability. It is finished off with beautifully design center connectors, naugahide padding and maple inlay on the legs and cabinet. 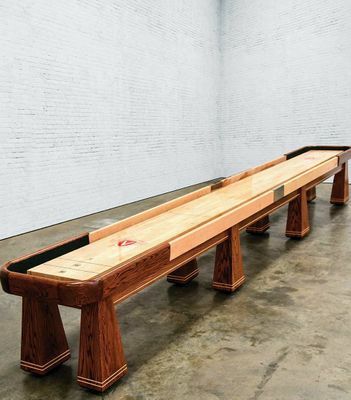 Get the shuffleboard you always dreamed of with a wide selection of stain and naugahide padding colors. 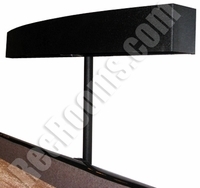 Tables are built to order and require a 6-8 week production lead time.